Located in Williamsburg, this hotel is within 3 mi (5 km) of New York University, Brooklyn Bridge Park, and Barclays Center Brooklyn. Washington Square Park and Brooklyn Heights Promenade are also within 3 mi (5 km). Bedford Av. Station is 6 minutes by foot and Metropolitan Av. Station is 8 minutes. A restaurant, a bar/lounge, and a rooftop terrace are available at this smoke-free hotel. WiFi in public areas is free. Other amenities include self parking, concierge services, and a 24-hour front desk. All 249 rooms offer free WiFi and free wired Internet, plus flat-screen TVs and hair dryers. Safes, showers, and desks are among the other amenities that guests will find. The hotel offers a restaurant. A bar/lounge is on site where guests can unwind with a drink. Public areas are equipped with complimentary wireless Internet access. This business-friendly hotel also offers a rooftop terrace, tour/ticket assistance, and multilingual staff. Parking is available onsite for a surcharge. 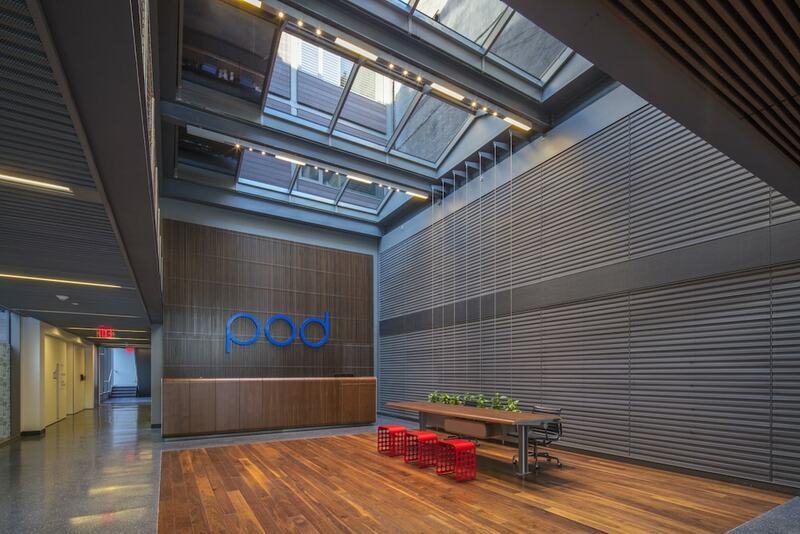 Pod Brooklyn is a smoke-free property. Continental breakfasts are available for a surcharge and are served each morning between 7:00 AM and 11:00 AM. Pod Brooklyn has a restaurant on site. Start your morning with a continental breakfast, available each day from 7:00 AM to 11:00 AM for a surcharge. Rollaway/extra beds are available for USD 20 per stay. Book a stay in any room or rate category and receive free walking tours of the surrounding area.